Of the more than 1,500 graduates being celebrated at Grossmont College’s June 7 commencement, few have overcome the kind of challenges faced by 50-year-old Cheryl Mahone. Unable to walk and barely able to stand as her body yielded to the effects of limb-girdle muscular dystrophy, Mahone kept pressing forward even after enduring two bouts of pneumonia and an encounter with the swine flu. Just getting to the El Cajon campus from her home in La Mesa meant a three-hour round trip aboard a special Metropolitan Transit System Access bus. No matter. Mahone graduates with a 3.98 grade point average, an associate degree in social and behavioral sciences and a ticket to San Diego State University, where she will enroll this fall as she moves closer to realizing her dream of earning a bachelor’s degree in food and nutrition and launching a career as a registered dietician working with the disabled. “My attitude is, God gave me this body, so I’m going to do the best I can to keep moving forward,” said Mahone, who added she will forever be grateful for the help she received along the way. More than 2,100 graduates will be receiving their degress and certificates from Grossmont and Cuyamaca colleges in June. Here is the story of one graduate. Jovonda Reina found her home at Cuyamaca College. 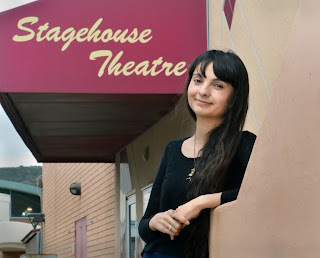 She found her home at Cuyamaca College after being shuffled around so often as a foster child that she attended three different elementary schools in the second grade alone. 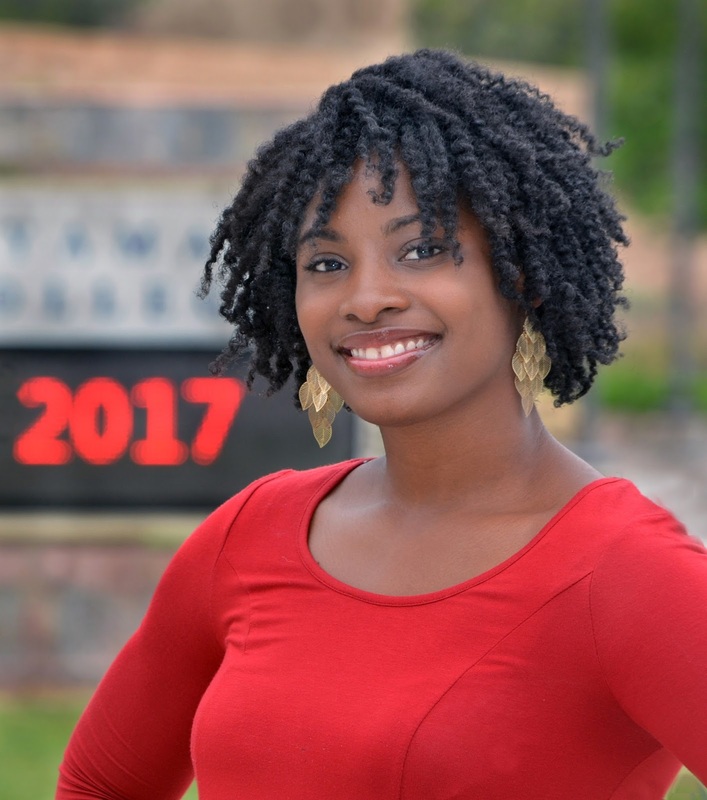 She found her home at Cuyamaca College after serving for six years as a petroleum supply specialist in the Army National Guard. She found her home at Cuyamaca College after an epiphany led her on a path toward a career working with teens beset by mental health challenges. More than 2,100 graduates will be getting their degrees and certificates from Grossmont and Cuyamaca colleges in June. Here is the story of one graduate. Sandra Navarro had long had an interest in sewing, so when the Grossmont College student came across a course on costume construction while perusing through an online class catalog, it didn’t take long for her to sign up. She got more than she bargained for. Enrolling in the course set in motion a series of events leading to an associate degree from the Grossmont College Theatre Arts Technical Training Program, a costume shop fellowship with the San Diego Repertory Theatre, and acceptance to San Diego State University’s Theatre Arts program for a bachelor’s degree in Design & Technology for Theatre. Navarro’s longer-term vision calls for a master’s degree in the field from UCLA and a career as a costume designer in the movie and theatre industry. “That one course changed my life,” said Navarro. Grossmont College can do that. 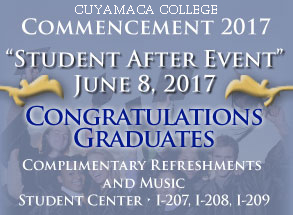 Graduates of Grossmont and Cuyamaca colleges have done it again. The two East County colleges will award 4,833 degrees and certificates this year, a 13 percent increase from last year and another record high for the college district. Much pride and celebration are in store as all eyes turn to commencement ceremonies for 1,581 graduates at Grossmont College June 7 and 656 the following evening at Cuyamaca College. With many students receiving multiple credentials, thousands of graduates will take part in the time-honored processionals. 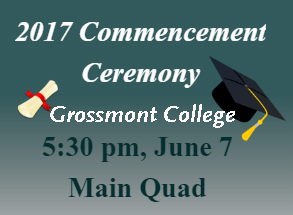 Both commencements begin at 5:30 p.m. President Nabil Abu-Ghazaleh will lead the 56th annual ceremony in the Main Quad of Grossmont College, at 8800 Grossmont College Drive in El Cajon. 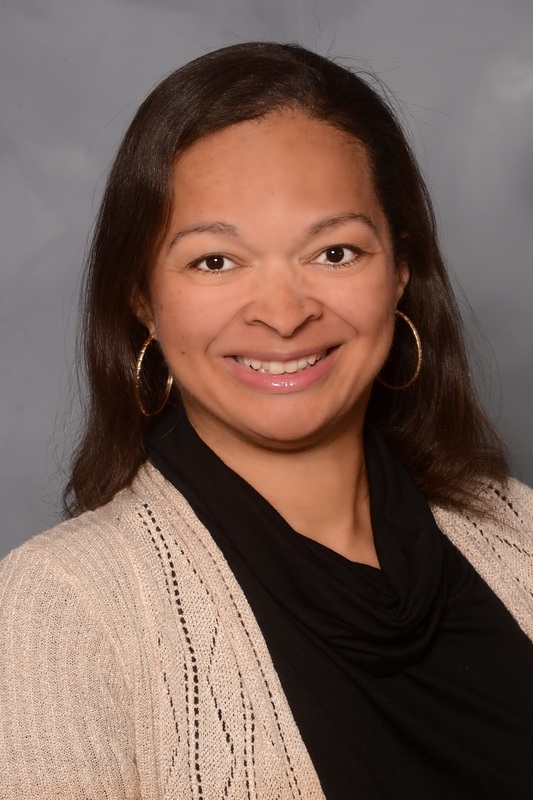 Cuyamaca College, at 900 Rancho San Diego Parkway in Rancho San Diego, will hold its 39th annual ceremony led by President Julianna Barnes in front of B building, the Communication Arts Center. 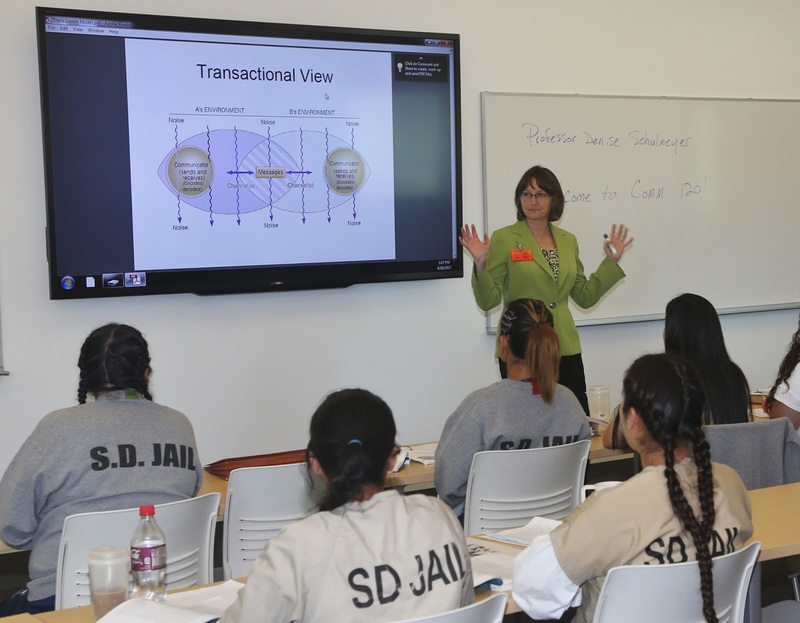 The inmate journals tell the story best about renewed hope and aspirations that a new program offering Grossmont College classes at Las Colinas jail have brought to the women, the first ever to enroll in college at the facility. Haydee described the epiphany of lessons learned in a counseling course on College and Career Success, one of three classes offered to inmates at the Las Colinas Detention and Re-entry Facility in Santee. Pathways to Success Academy is a joint pilot program of the college and the jail that provides nine college credits, tutoring and financial aid information to inmates who succeed in the five-month regimen of instruction, homework and tests. “My (lack of) self-esteem was a crucial part in my life that didn’t let me see anything other than feeling sorry for myself,” wrote Haydee, one of 21 inmates who signed up for the classes. Are you graduating from college soon? Here are some tips from the career centers at Grossmont and Cuyamaca colleges on how to get a job. The Great Recession is over. Unemployment is falling to lows that haven’t been seen in recent memory. But finding a job can be more complex than ever. Here are 10 tips that can help you land the position you want. 1) Know where to look. Plenty of opportunities are out there. The U.S. Bureau of Labor Statistics says well more than 5 million job openings were available nationally in the first quarter of 2017. But you must know where to look. Internet sites such as Indeed, Monster, and CareerBuilder are especially helpful. Employment links on local, state and federal office websites offer seemingly endless possibilities, along with trade magazines and local chambers of commerce. But don’t forget the obvious: Talk to your professors. Ask your friends. Let people know you are looking.